The experience with April was, from the start, completely different. April clearly enjoys, and is passionate about, teaching and the classroom environment. She makes use of a wide range of exercises and drills to ensure that the learning is engaging while also effective. And since she literally "wrote the book", she is intimately familiar with her entire suite of texts and training materials. Still to this day, I have a hard time believing that two hours of lessons can pass by so quickly. 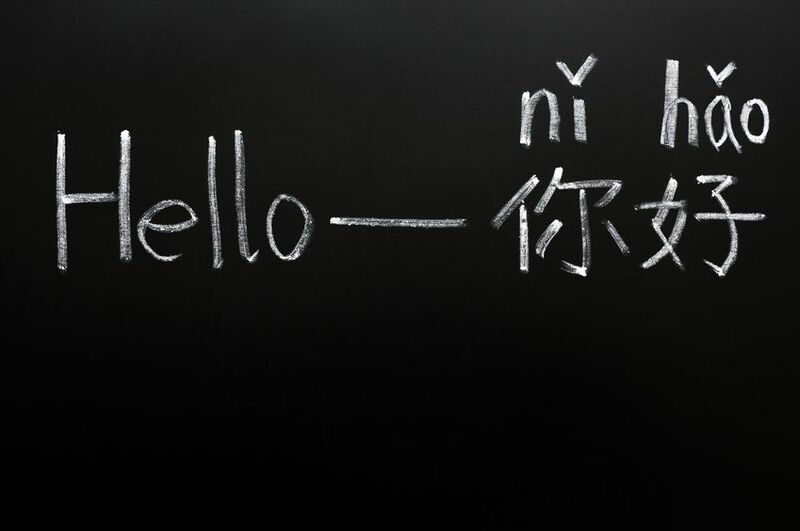 From the start, I had my mind set on the idea that I would only want to learn Mandarin through pinyin, and that I did not want to expend the effort to learn to write characters. I was busy with my day job at the time, and wanted to make the most of the limited time I had available to study Mandarin. Taking classes on average about once per week, it took roughly one year to get through all of Intro and Basic level books. I travel around China frequently for work, and I was quite pleased with the progress that effort had brought me. I could handle basic social and everyday situations like booking train tickets, and I could briefly introduce myself and my company at meetings and conferences, which was well-received by my clients. The end of my training using pinyin coincided with a (highly unusual) time in my professional career when work became somewhat less busy and I had a less intensive travel schedule, which allowed me to focus more on learning Mandarin. Gentle urging from Chinese-speaking friends and positive encouragement from April convinced me that I should push myself to the next level and try to tackle MSL Master's Chinese Reading and Writing Series, to start off the process of learning Mandarin by using Chinese characters. I was apprehensive at first, but was willing to give it a try. I quickly found that learning to write characters using the MSL Master materials was both enjoyable and not as challenging as I had feared (although certainly not easy). The materials take a "building block" approach to learning characters and vocabulary, and the Chinese Reading and Writing Series reinforces the vocabulary and lessons learned in MSL Master's pinyin-based Intro and Basic books. As a result, I found the learning came naturally, and there wasn't a moment where I was struggling to guess at completely unfamiliar characters. The MSL Master materials, together with a basic flashcard program on my iPad and mobile phone, helped me quickly build up a knowledge base of Chinese characters. The benefits from learning how to read and write characters came almost immediately. From early on in the reading and writing training, my enjoyment of business and personal trips to China was greatly enhanced by the ability to read street signs, figure out what kind of things shops were selling, and a greater general awareness of what was happening around me. Those positive benefits reinforced my enthusiasm for learning reading and writing, and I found myself using every available free moment to get in some extra Mandarin studying, whether it was 5 or 10 spare minutes waiting for a business meeting to start (much to the amusement of my Chinese colleagues) or a few minutes here and there during flights (much to the amusement of many flight attendants). On average I probably managed to study about 60 to 90 minutes a day in a series of short spurts of activity, which further eliminated any sense that the studying was in any way a chore that learning a new subject can sometimes feel like. Within six months, I was able to finish the entire six-book Chinese Reading and Writing Series. My ability to use Mandarin (speaking, reading, writing and listening) continues to improve daily, and I can increasingly apply it in more and more practical settings. I look forward to continuing my studying with MSL Master and April to the Pre-Intermediate level, and beyond!